Going for a total makeover this summer? Make sure that you have in your package Cassia Oil – a highly trusted natural substance used for beauty care. Read on to get complete Cassia Oil information. Know all about Cassia Oil, its origin, uses, composition and health benefits. What Is Cassia Oil Used For? 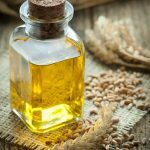 Where to Buy Cassia Oil? Cassia Oil is a natural substance extracted by steam distillation method from the grayish bark of the tree Cinnamomum Aromaticum, also known as Chinese Cinnamon, Cinnamomum Cassia or simply Cassia. Cassia is a member of genus Lauraceae. It is an evergreen plant indigenous to regions like Vietnam, South China, India and Bangladesh. The tree can also be found in countries like US, Europe, Oceania, Burma and Mexico. In some places, Cassia is also called ‘False Cinnamon’. It is less fragrant than Ceylon Cinnamon which is known as the ‘Original Cinnamon’. Cassia Oil is correctly pronounced as “Kash-e-a O-yl”. Cassia Oil includes substances like Cinnamic Aldehyde, Benzaldehyde, Cinnamyl Acetate, Linalool and Chavicol. Cinnamaldehyde is the main constituent and makes up for about 75 to 90% of the Cassia Oil chemical composition. Scientific research has established tranquilizing and pain-alleviating effects of Cinnamaldehyde on mice. The spicy fragrance and taste of the substance comes from the presence of 1 to 2% volatile oil in the substance. 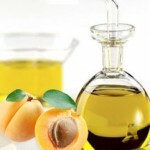 This oil consists of many chemicals that are used in the production of many flavoring agents and perfumes. Other than these chief Cassia Oil components, the substance also contains Mucilage, Tannins, Resin, Sugar and some other chemical constituents. These Cassia Oil constituents are present in lesser amounts but are useful nonetheless in contributing to the beneficial power of this substance. Cinnamaldehyde – It has a spicy warm aroma and makes up for about 85% of the oil. Methoxy Cinnamaldehyde – This musty, spicy component accounts for almost 11% of Cassia Oil. Cinnamyl Acetate – It is sweet, balsamic in smell and has a 6% presence in the oil. Benzaldehyde – About 1% of the oil consists of this substance which smells of bitter almond. Ethyl Cinnamate – Cassia Oil contains about 0.4% of this fruity, balsamic substance. Coumarin – It gives a sweet, hay-like aroma to Cassia Oil and has a 0.2% presence in the substance. Salicylaldehyde – About 0.2% of Cassia Oil consists of this pungent, phenolic chemical. There are numerous Cassia Oil uses. The composition of Cassia Oil makes them suitable to be used for a number of purposes. It is useful as a medicine, for beauty care, for cooking, as a health tonic and also as a stimulant. Pure Cassia Oil is brownish or yellowish in color and has high refractive power. Refined Cassia Oil is often colorless though holding it before bright light makes it appear pale yellow in appearance. Cassia Oil has been found effective in treating high blood sugar. Cinnamon oil helps diabetics use less insulin. Medical research has established the effectiveness of Cassia Oil in treating Type 2 Diabetes patients who suffer from improper functioning of insulin in their body. This is due to the abundant presence in Cinnamon of a Polyphenol compound that is soluble in water and known as MHCP. MCHP acts in accordance with insulin and aids in better utilization of it. The density of Cassia Oil is slightly more than that of water. Cinnamon bark oil has a density of 1.014 – 1.040. Researches by Japanese and Chinese scientists have shown sedative effects in Cassia Oil. Experiments on animals like mice have shown the effectiveness of the substance in reducing fever and high blood pressure. The antiseptic Cassia Oil properties also make them suitable for destroying different kinds of fungi and bacteria. Cassia Oil is an essential oil which indicates it contains the essence of the Cassia (Cinnamon) tree. The essential oil of Cinnamon or Cassia is derived from the twigs and leaves of the tree with the help of Steam Distillation method. 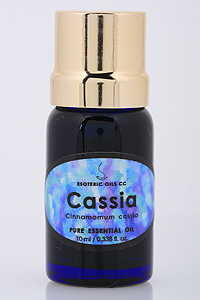 Cassia Essential Oil Benefits are numerous. The antifungal Cassia Oil properties make them perfectly suitable for treating fungal infections. The oil, when used with Amphotericin B, becomes very effective in treating fungal attacks. In Cassia Oil Cinnamaldehyde presence is very useful in fighting depression, lifting mood and producing warmness in the body. Cassia Oil is very useful in bringing relief from vomiting and nauseating sensations. It brings a general sense of well-being to sufferers and makes nauseating symptoms disappear within a short time. Cassia Oil gives protection from cold and influenza viruses and helps in combating several other types of viral infections. Cassia Oil Aromatherapy improves blood circulation and produces a warm feeling in muscles and joints thereby curing problems like arthritis and rheumatism. For patients of rheumatism and arthritis, regular Cassia Oil massage can work wonders. As aforesaid, the composition of Cassia Oil makes it perfectly suitable for various beauty care purposes. Cassia Oil, along with Chamomile tea and orange juice, can be used to create golden shades in hair by applying on clean, wet hair for 10-12 hours. Lemon juice added to Cassia Oil mixture can help you achieve a strawberry blonde hue for your hair. Cassia Oil also releases moisture from hair and helps in nourishing it. 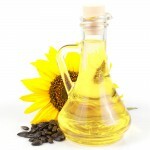 It is best to purchase a hair conditioner or shampoo that contains Cassia Oil. A Cassia Oil shampoo can go a long way in nourishing your hair and making it last very long. You may also create a mixture of Cassia Obovata and hot water to create a nourishing hair mask for yourself at home. Test this on a few strands of hair before you go all the way. It is best to consult an expert hair professional before you start applying this mask. Cassia Oil makes for a wonderful food additive. Cassia Oil has a strong and sweet flavor. The oil gives a warm, flowery effect to the person who smells it. The sweet Cassia Oil flavour makes it perfect to be used in exotic cuisines to enhance the effect. The exquisite aroma of this natural oil makes it apt for use a flavoring agent in dishes. The oil is, however, very strong. It is best to sparingly use Cassia Oil as a flavoring agent. The bark of Cassia is often used in chocolates and liqueurs. In North America, ground Cassia is sold to be used as food additive. The whole buds of Cassia are added as a flavoring agent. Cassia Oil extracted from leaves contains Cinnamaldehyde which works as a great flavoring agent. Cassia Oil has flatus-relieving properties which allow it to remove gas from the intestines and stomach and provide relief from flatulence. It is a good cure for other stomach ailments like indigestion, stomach upset and diarrhea. Cassia Oil boosts the health of colon. In people suffering from intestinal ailments, this substance reduces the risk of Colon Cancer. As aforesaid, Cinnamon oil has anti-microbial properties. This makes it useful in treating diseases like influenza, sore throat, cold and congestion. Cassia Oil helps control birth naturally. Regular intake of Cinnamon after child birth slows down menstruation and helps in preventing conception. In expectant mothers using Cassia Oil pregnancy may be affected. Cassia Oil has been known to lead to the congestion of uterus. Cassia is a natural diuretic and helps in discharge and secretion of urine. It increases the flow of urine and helps the body to get rid of excess water. Cassia Oil has been traditionally used for a long time. The warm, spicy, aromatic Cassia Oil has been a popular part of aromatherapy for quite a long time. The medicinal properties of Cassia Oil are said to have been recognized as early as in 2,500 BC. Sumerians discovered that a mixture of Cassia Oil, alkali and water was effective in treating several health problems and gave rise to a soothing sensation. It was around the same time that Egyptians discovered the usefulness of this oil. An Egyptian clay tablet dating back to around 2,200 BC contains an aromatherapy recipe involving water, Cassia Oil and alkali. It indicates that ancient Egyptians had a habit of regularly using Cassia Oil for bathing. There is substantial proof that the first soap created in Babylon was made of water, alkali and Cassia Oil. In China, Cassia Oil has been in use for thousands of years. Its first use in recorded history has been during the Han Dynasty in the time period 200 BC – 200 AD. It was described in the Shennong Herbal books as a non poisonous herb though Cassia is now recognized as slightly toxic in nature. Cassia Oil is still used in China to treat problems like lumbago, cold feet, cold hands, headache, Dyspnea (shortness of breath), abdominal pain and high blood pressure. Cassia Production is usually done by cutting back and cultivating Cinnamon trees in such a way that they do not grow very tall. Short Cassia trees are easier to harvest. As aforesaid, Cassia Oil is extracted from the bark and the leaves of the tree. Cassia is produced in Southern China, especially in its provinces like Yunnan, Guangdong and Guangxi. In China, Cassia is known as “Rou Gui”. Over 500 tons of Cassia Oil is annually produced in China. Though the production level of Cassia Oil in China is unpredictable, demand for this aromatic substance is steadily increasing. Cassia is also grown in Laos, Burma, Vietnam, Indonesia, Taiwan and several provinces of South East Asia. It is exported to West Europe, USA, Canada and other parts of North America from these nations. Cassia Oil is very useful for the skin. However, you are advised not to use this substance directly on your skin unless you have been asked to by your doctor. It is best to use prescription-based drugs or over-the-counter medicines containing Cassia Oil. Cassia Oil treatment helps skin heal fast and treat problems like acne. Direct application of Cassia Oil can be damaging for skin. Try to avoid skin contact even while using Cassia Oil for hair or lips. Use only a very small quantity of the substance to avoid skin problems. It is important to keep a few safety tips in mind while you are using Cassia Oil. Avoid direct contact of Cassia Oil with your skin. It can cause localized damage to the skin surface and burn it. Close your eyes while you inhale the steam of Cassia Oil during aromatherapy. The spicy Cassia Oil ingredients can cause irritation to your eyes. Do not use Cassia Oil essential oil in pure form. It can cause irritation and give rise to tingling sensations in your skin. It is best to dilute the oil with other substances like oils of Coriander, Black Pepper, Balsam, Geranium, Rosemary, Frankincense and Nutmeg. Pregnant women should avoid using Cassia Oil altogether. Cassia Oil controls birth naturally and using it can cause miscarriage and stopping of conception. Cassia Oil also irritates the mucous membrane. As aforementioned, Cassia Oil is slightly toxic in nature. Direct application of this substance can burn the skin. Inhaling Cassia Oil in large quantities can also irritate the mucous membrane. Cassia Oil can last for more than two years if stored under proper conditions. Good refrigeration and keeping the cap tightly closed can ensure longevity of the oil. Cassia Oil buyers can get the substance from herb shops and health food stores in their country. 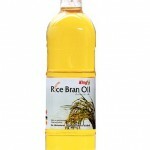 You can also purchase the substance from the many Cassia Oil suppliers operating online.